If you were one of the 2.5% of people who got ultra rare achievement to play all of the Specialist tutorials in Call of Duty: Black Ops 4, I have bad news: the mode isn’t coming to Modern Warfare 4 according to Gaming Intel’s sources. 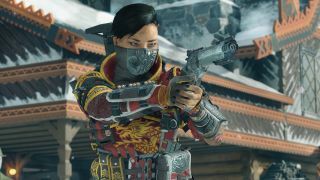 Rumours say that Battle Royale mode isn’t making a comeback either, marking Treyarch’s surprise detour from one of the biggest trends to hit the gaming world in the last couple of years. Ok, so the supposed lack of Specialists in Modern Warfare 4 might not be that much of a surprise, as Treyarch has had to create a Barebones playlist that caters players who don’t want to play as Specialists but still want those Call of Duty experiences of old without being restricted to one particular set of abilities. Although when they were first introduced the Specialists looked like they might be a substitute for the lack of story campaign thanks to their unmistakable characters and skillsets, kind of like Overwatch, there’s no denying that the community aren’t particularly enthused about the mode. Not including Blackout, however, is a bigger twist, especially as according to Gaming Intel’s sources it’s because the studio want to focus on Call of Duty’s traditional modes, namely a single player campaign, multiplayer, and co-op. Potentially including a single player campaign would be a big change from Black Ops 4, especially as Treyarch’s studio heads made it clear that a solo campaign was never planned for the latest game. David Vonderhaar, Treyarch’s co-studio head, explained that a single player campaign wasn't ever part of Black Ops 4, telling Gamespot that "it wasn't a campaign as people usually refer to it anyways… How can you say what happened to this thing that wasn't. It was a multiplayer game”. However, Gaming Intel’s sources don’t go into detail about the return of single player mode, so you might want to take that with a pinch of salt. Here’s the best Call of Duty games you can play right now, or take a look below to see the best weapons in Black Ops 4 if you’re thinking of revisiting Treyarch’s title!